We always want to give our patients the best care possible, and that’s why we invest in the best technology possible. 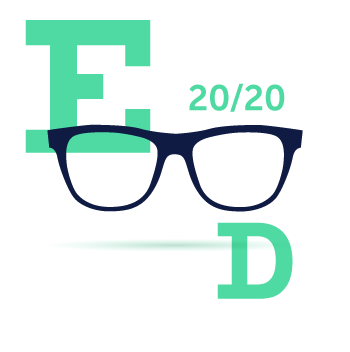 This page is dedicated to teaching you more about the different types of tests and equipment you may experience on a visit to our practice. Corneal topography is a non-invasive medical imaging technique for mapping the surface curvature of the cornea, the outer structure of the eye. Since the cornea is normally responsible for some 70% of the eye’s refractive power, its topography is of critical importance in determining the quality of vision. The three-dimensional map is a valuable aid in diagnosing and treating a number of conditions such as keratoconus, corneal ectasias, or aiding in planning refractive surgery such as LASIK, or in assessing the fit of contact lenses. The procedure is carried out in seconds and is completely painless. The Optical Coherence Tomographer (OCT) is the latest advancement in diagnostic technology. 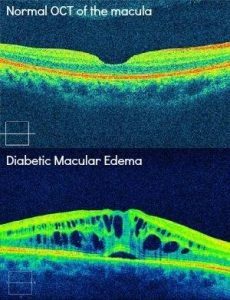 It is used to detect and measure changes in your retina, such as glaucoma, diabetic retinopathy, and macular degeneration. Similar to ultrasound, the OCT employs light rather than sound waves to achieve higher resolution pictures of the structural layers of the back of the eye. The scan is non-invasive, painless, and can be performed in about 10 minutes in our office. Feel free to contact our office to inquire about an OCT at your next appointment. The Humphrey Visual Field is used to measure the integrity of your peripheral or “side” vision. It is a straightforward test, painless, and does not involve eye drops. The test is helpful in detecting and managing patients with optic nerve damage, as seen in ocular conditions like glaucoma or ischemic optic neuropathy. It can also help diagnose neuro-ophthalmic disorders, such as those associated with stroke or brain lesions affecting the visual pathway. In order to accurately assess the peripheral vision, the patient is asked to look at a central point and then press a buzzer each time they see a light flash. Each eye is tested separately and the entire test takes about 15-20 minutes. We use cutting-edge digital imaging technology to assess your eyes. 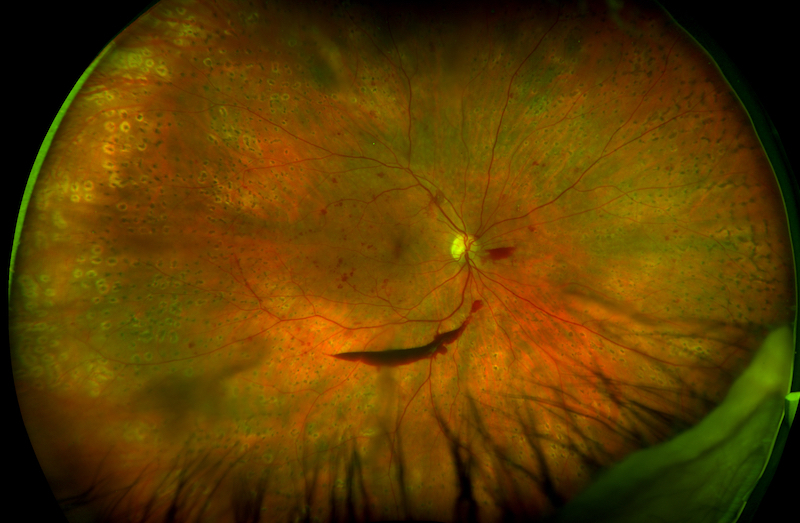 So as a part of your comprehensive visit, we are proud to offer the Optomap® Retinal Exam. Many eye problems can develop without your knowledge. You may not even notice any change in your sight. But, diseases such as macular degeneration, glaucoma, retinal tears or detachments, and other health problems such as diabetes and high blood pressure can be seen with a thorough exam of the retina. The Optomap® produces an image that is as unique as your fingerprint and provides us with a wide view of the health of your retina. The retina captures the image of what you are looking at, similar to film in a camera, and is located in the back part of your eye. The optomap® Retinal Exam is fast, easy, and comfortable for all ages. To have the exam, you simply look into the device one eye at a time and you will see a comfortable flash of light to let you know the image of your retina has been taken. 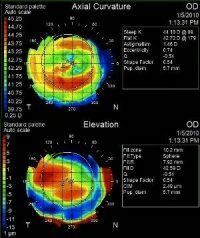 The optomap® image is shown immediately on a computer screen so we can review it with you. Please schedule your optomap® Retinal Exam today!